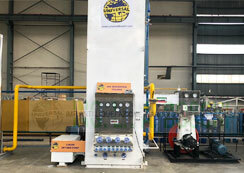 We are leading manufacturer and exporter of OXYGEN/ NITROGEN PLANTS. We have manufactured over 500 AIR SEPARATION PLANTS & EQUIPMENTS since 1985 in technical collaboration with ING. L & A BOSCHI, ITALY over 30 years. 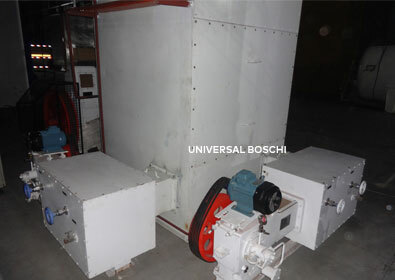 UNIVERSAL BOSCHI UBP series Oxygen Plants are trusted by our customers in over 50 countries for the latest design with skid mounted version and latest low pressure rotary compressors and expanders. 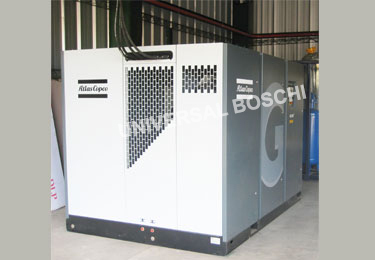 ZERO maintenance Rotary air compressors. 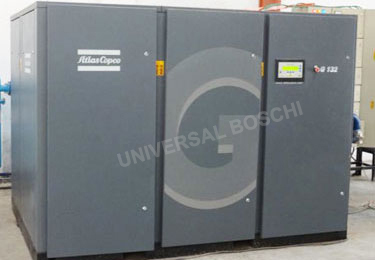 Saving of water as air compressor is air cooled. 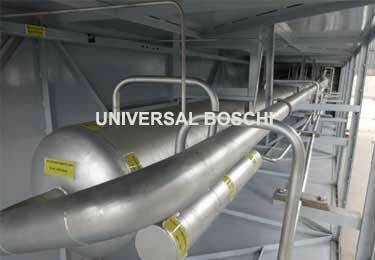 100% stainless steel construction column as per ASME standards. High purity Oxygen for medical/hospital use. Quick start up and Shut down time. Filling oxygen in cylinder by liquid oxygen pump. 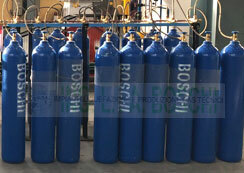 Oxygen cylinder filling system with oil free liquid oxygen pump. Our complete technology, designs and manufacturing skills have been acquired from ING. L&A BOSCHI, ITALY and perfected in the last 30 years. 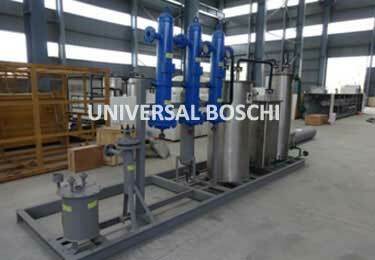 Dr. Boschi has certified our plants to meet international specifications and we are certified ISO 9001:2008 Company and selling under the same world re known 'Boschi' Italy brand name. UBP -130 m3/Hr. 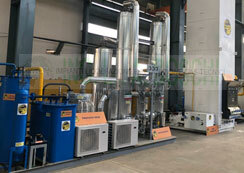 Oxygen Plants with Cylinder Filling System.